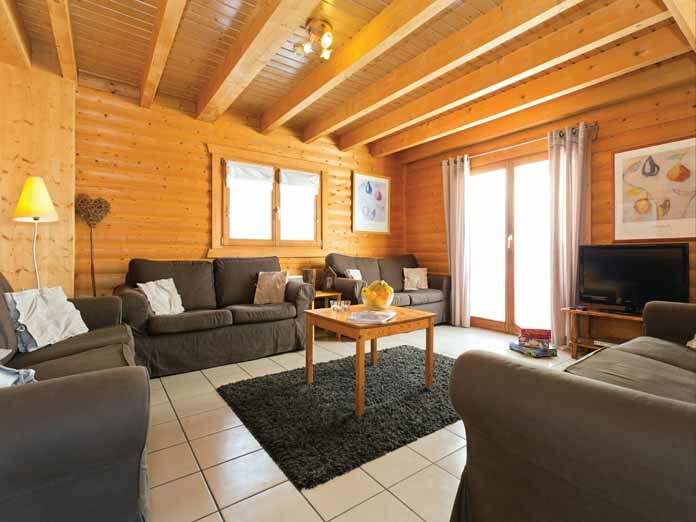 Our view: You can't beat this chalet for excellent value and service - after a hard day on the slopes relax in style with a cold beer in the whirlpool tub! 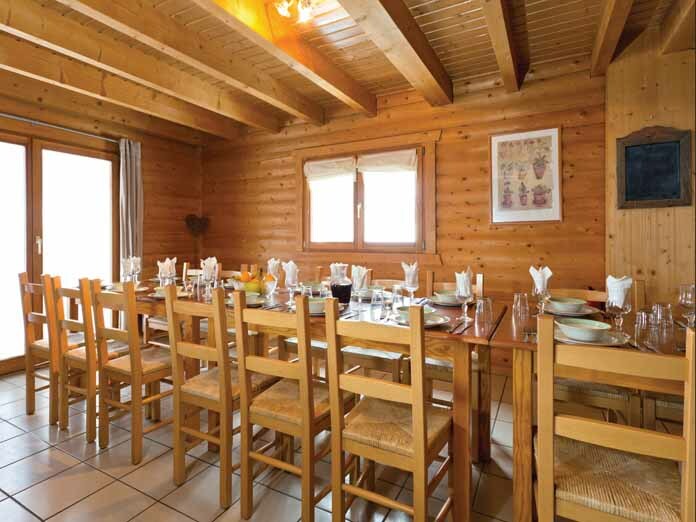 The cosy Chalet Telemark is situated in the heart of the original village of Alpe d'Huez and close to the ski lifts. It has an excellent standard of accommodation with a large, bright living area and balcony as well as a sauna and whirlpool for relaxation. Twin room with bath, shower and WC (1). Open living area and balcony. 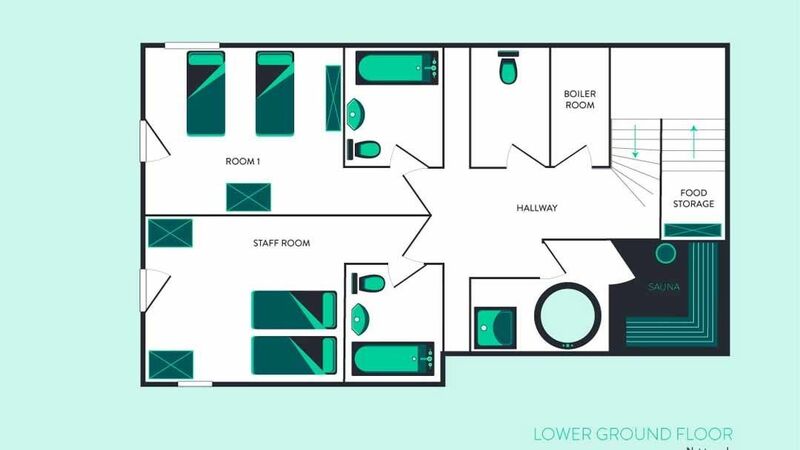 Twin rooms with bath, shower and WC (2&3). Single room with sloping roof, bath, shower and WC (4). 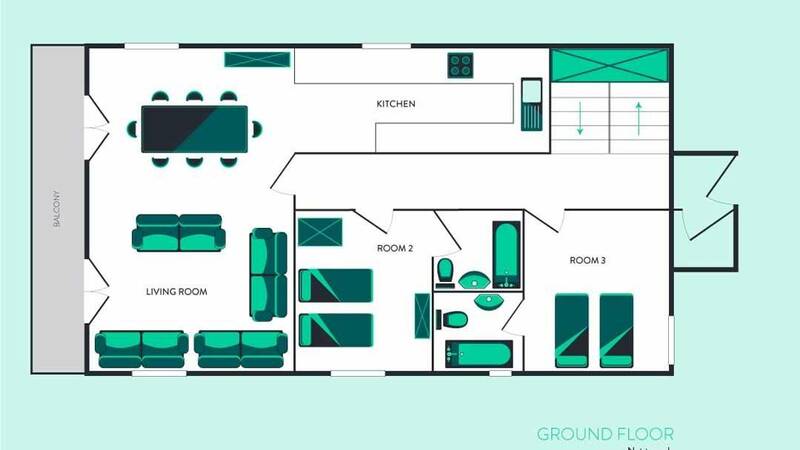 Twin rooms with bath, shower, WC, balcony and sloping roof (5&6). Twin rooms with bath, shower, WC and sloping roof (7&8). Please note: Public areas will be cleaned each morning. Rooms will be cleaned twice a week. All linen and towels are provided. 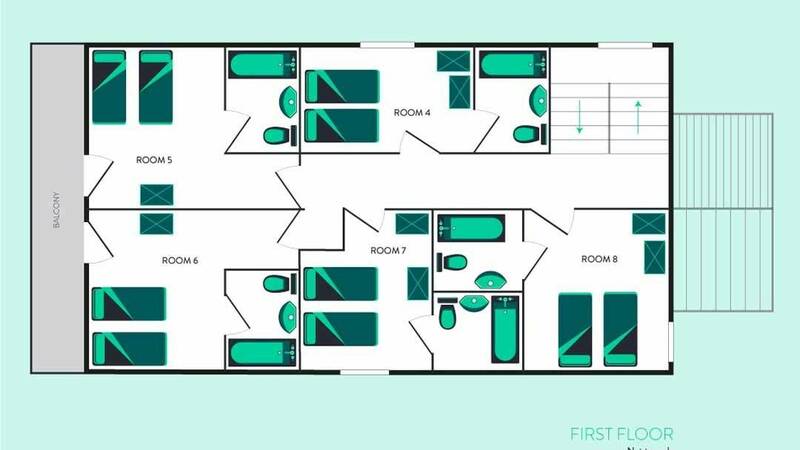 Cots cannot be added to rooms 1,2,7 & 8. All bedroom doors are lockable. 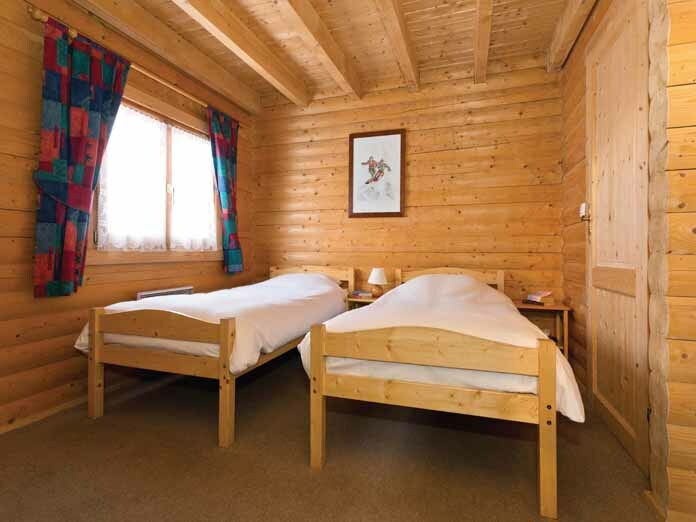 Childcare is based in the Hotel Petit Prince, a 8-minute uphill walk from the chalet catering for children from 6 months to 11 years in age apporopriate groups. All staff are UK-qualified, English-speaking and first-aid trained. In addition they have had DBS and reference checks and adhere to maintaining the correct adult to child ratios. Alpe d’Huez is set on a high sunny plateau, at 1,860m in the Grande Rousses area of the Southern French Alpes. Surrounded by an amazing snow bowl, it has mile after mile of varied pisted and off piste opportunities. With over 250km of skiing to choose from, it provides endless choices for all levels of skiers and boarders. The resort boasts an excellent snow record due to its high altitude – high altitude goes hand in hand with breathtaking views and a wonderful starting point for the Sarenne descent, officially one of the longest black runs in Europe. Alpe d'Huez is known as Island of the Sun ('Lile au Soleil') and most of the main slopes face south benefiting from the claimed average of 300 sunshine days a year! The resort spreads down a gentle slope in a triangular shape from the main lift station at the top corner. Access roads enter the village at the lower two corners. The main Avenue des Jeux is used as a central focus and this is where you will find some of the shops, bars and restaurants along with the swimming pool and ice rink. Towards the bottom of the town is the older, original core of the resort which has a slightly more traditional feel to it. Alpe d'Huez has skiing suitable for everyone. The large network of lovely wide green runs immediately above the village is as good a beginner area as you will find anywhere. For intermediates there is a fine selection of blue and red runs, the variety being difficult to beat with trees, valleys and a range of terrain to explore. The slopes divide into four areas with good connections between them. Every section of the resort has some challenging red runs to test the adventurous as well as some serious off-piste routes for the experts to enjoy. Gondolas and fast chairs are the main access to the lifts, although there are a few older chairs and drag lifts scattered around. There are two terrain parks, one near the bottom of the slopes for novices with various jumps and rollers and another 1.5km advanced park close to the Lac Blanc drag which has a half-pipe, jumps, rails, big air and boardercross course. Above Vaujany there is another beginners park. Experienced boarders are well catered for with lots of good freeriding to be had, together with vast and varied off-piste to be tried with a guide. For cross country skiers there are 50km of snow sure trails with varying degrees of difficulty. 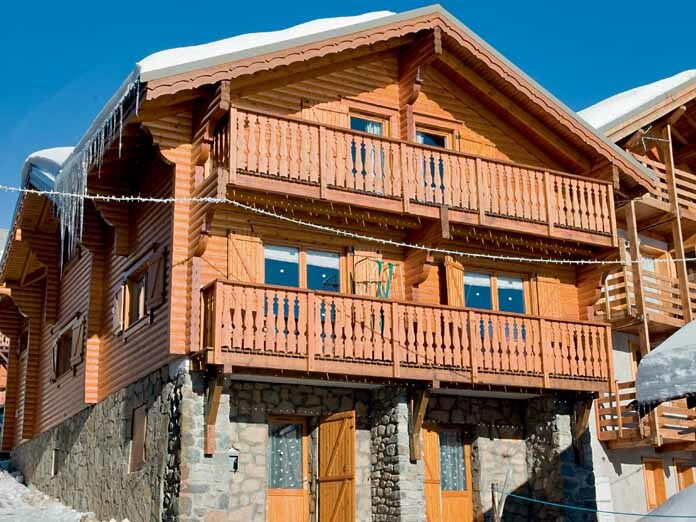 The resort is linked to Vaujany where there is some great runs and some lovely little cafes - well worth making the effort to get there as only a short ski away from the main slopes of Alpe d'huez.